Obituary for Wilbert "Surge" James | Jones Funeral Home, Inc.
Wilbert "Surge" James, 100, a native of Terrebonne Parish and a resident of Houma, LA, passed away peacefully at 1:30 a.m. on Wednesday, October 31, 2018. Visitation will be from 9:00 a.m. until funeral time at 11:00 a.m. on Saturday, November 10, 2018 at Plymouth Rock Baptist Church located at 1000 Wallis Street in Houma, LA. Burial will follow in Deweyville Cemetery. He is survived by his sons, Elliott (Ann) James, Ray Noble James, Sr., and Troy (Deirdre) James; daughters, Ewilda James and Marilyn Harding; seventeen grandchildren; twenty-one great grandchildren; eight great-great grandchildren; and a host of other relatives and friends. 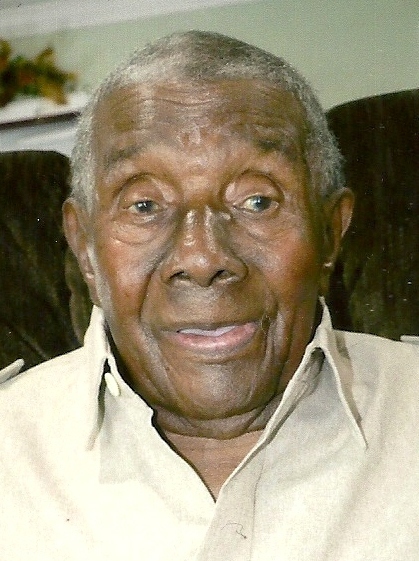 He was preceded in death by his wife, Elise Jefferson James; son, Clifford Lee James; parents, Allen, Sr. and Rosie Galmore James; brothers, Allen, Jr. and Clifford James; sisters, Bessie J. Lewis, Ora and Ophelia James.